To create the ultimate baseball destination environment, designed to encourage unprecedented fan interactions and support the interests of the community beyond baseball. Widely regarded as Major League Baseball’s (MLB) top Spring Training facility, Salt River Fields is surrounded by some of the most beautiful mountain views in baseball. The overall site offers an immersive fan experience for fans of the Arizona Diamondbacks and the Colorado Rockies, who occupy clubhouses around the field. The design is inspired by traditional native dwellings situated around a central courtyard. Radiating from this central courtyard, support buildings, practice fields and clubhouses form an overall cohesive complex. The wall of one space becomes the boundary of a field or the edge of a path. These walls and roofs are built to reference traditional and historic native culture and life. Masonry is used to simply yet eloquently serve as a backdrop to the landscaping and playing fields. Inside the stadium, the detailing is carefully designed to reveal concessions and fan support amenities. Collectively, the walls, the openings and the pathways ultimately serve multiple purposes: to promote interaction of fans and players, to frame key views of the surrounding landscape and to encourage environmental awareness and stewardship. 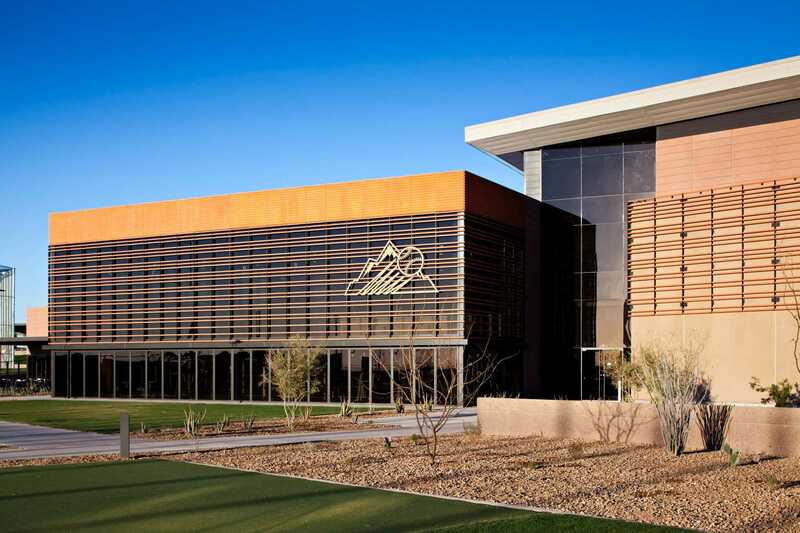 The first professional sports venue built on Native American land, Salt River Fields at Talking Stick blends environmental stewardship and innovation with ancestral custom. 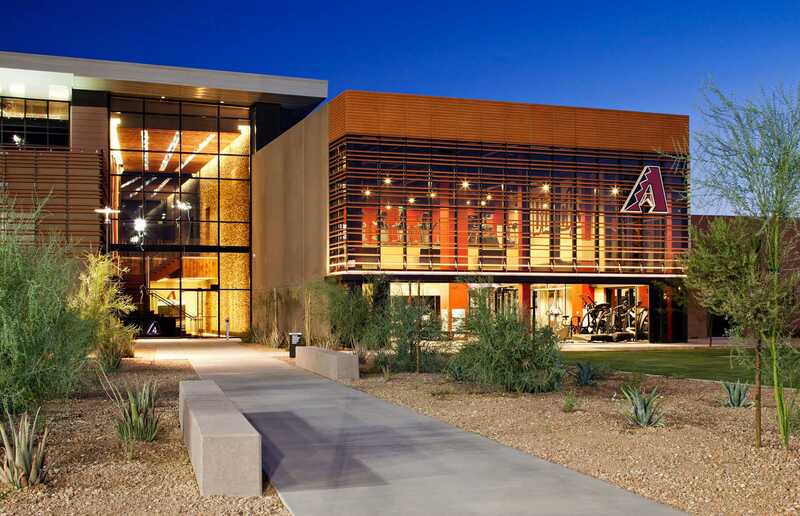 Named the first LEED Gold certified sports venue of its kind, the stadium features stone materials from the Salt River Pima-Maricopa Indian Community lands and is surrounded by landscaped grounds that include more than 85 replanted trees and cacti. Today’s spring training facilities need to be a community resource beyond just baseball, and Salt River Fields was the first to truly break the mold by incorporating successful community events outside the daily or annual MLB operations. 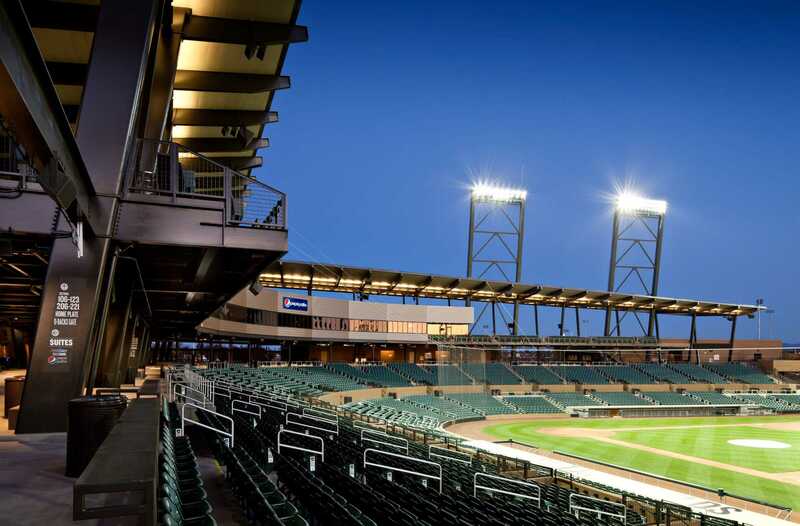 Since opening, Salt River Fields has become a premier location for event planners and promoters including annual food and beverage events, music festivals, community festivals and local sports.